Becca Aaronson spent the last year investigating the impact of state policies on Texas women's access to public health programs with the support of the Dennis A. Hunt Fund for Health Journalism, a program of the USC Annenberg School of Journalism's California Endowment for Health Journalism Fellowships. She produced the Politics of Prevention series in collaboration with the Tribune's Alexa Ura and Ryan Murphy. Read the entire Politics of Prevention series, which was also produced in partnership with Kaiser Health News, an editorially independent program of the Henry J. Kaiser Family Foundation, a nonprofit, nonpartisan health policy research and communication organization not affiliated with Kaiser Permanente. The decision to oust Planned Parenthood from the joint state-federal Medicaid Women’s Health Program also cost the state a $9-to-$1 match from the federal government. State health officials restarted the program as the state-financed Texas Women’s Health Program. In a report to the state’s Sunset Advisory Commission, the health commission said it could improve the efficiency of the Texas Women’s Health Program if it became part of the Texas Department of State Health Services, which already oversees most of Texas’ women’s health services. But the Texas Women’s Healthcare Coalition — a group of more than 30 medical trade associations and community-based organizations that promote access to preventive care — is asking lawmakers to slow down. 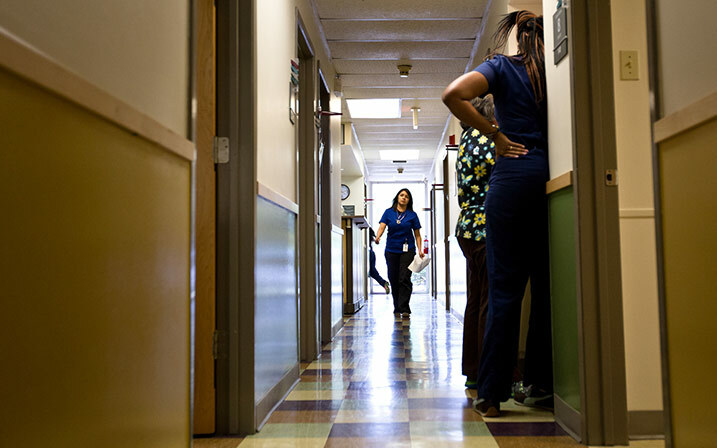 They say they do not want any more big changes to women’s health services in Texas until there has been a review of the current structure’s efficacy.